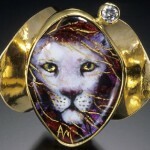 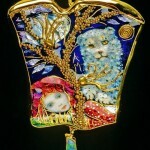 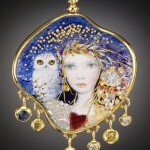 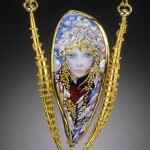 Enamel Jewelry art by Mona & Alex Szabados are beautiful miniature paintings of female faces and animals. 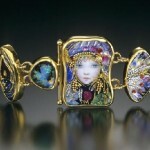 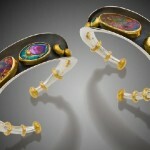 They are characterized by rich colors of enamel in combination with precious stones and fantasy of artists. 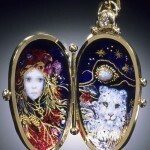 Mona (artist) and Alex Szabados (jeweler) live in California. 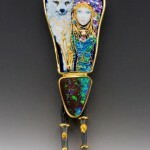 They are collaborating for over 20 years and have won numerous awards, presented their work in several books and magazines. 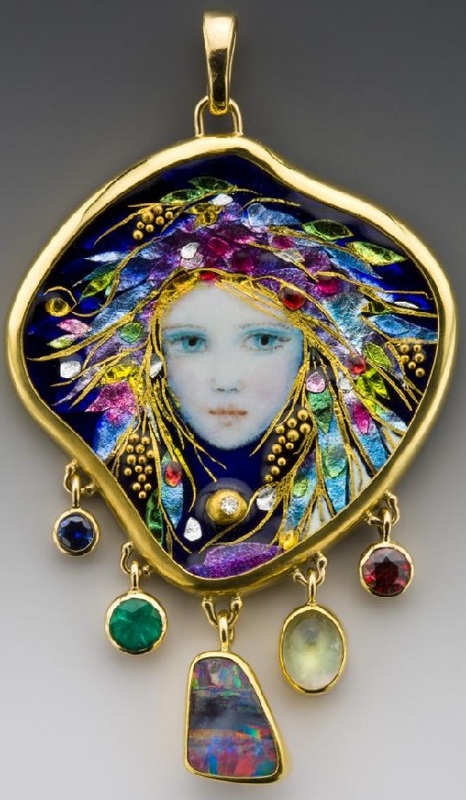 Each element is formed gradually, using a transparent enamel with gold leaf, silver leaf and gold beads, all about 30 layers. 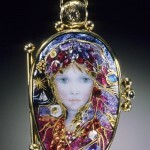 Faces are built with finely chopped transparent and opaque opalescent enamel. 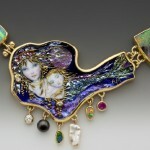 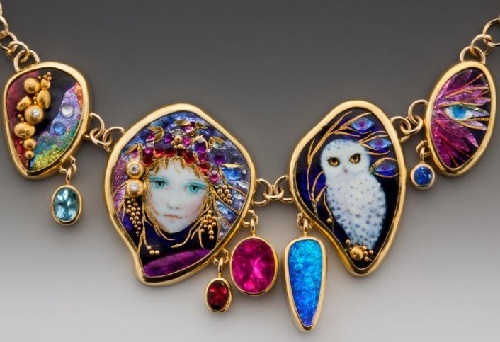 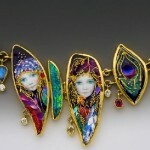 The creative tandem of jewelry artists work together at each stage. 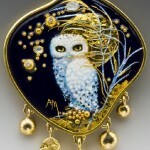 When Mona finishes with enamel, Alex begins his fine jewelry work packing enamel, adding unique gems, granular gold, reticulation, etc.